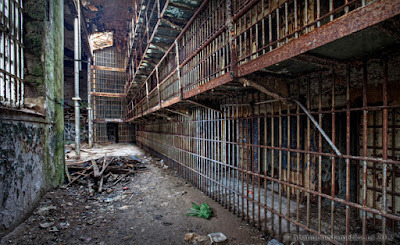 Abandoned America: The Old Essex County Prison ~ The History Girl! The Old Essex County Prison in Newark, New Jersey, was originally built in 1837 and closed in 1970 when a new jail was completed. As the oldest surviving government building in the county and one of architect John Haviland's finer works (he also designed Harrisburg State Hospital and Eastern State Penitentiary), the jail was added in 1991 to the historic register but by this point demolition by neglect has ruined much of the building. The prison was constructed for $30,000 when a fire destroyed the county courthouse and the design incorporated garden paths, a greenhouse, and courtyards for well behaved inmates. Another feature of the grounds was the gallows in the yard used for hanging murderers. The main building was a square, two story structure with a cell block wing extending from it, but in 1890, 1895, 1904, and 1909 the prison was expanded. These expansions brought running water and toilets to the 300 cells now in the building. After the prison was closed in 1970 the Essex County Narcotics Bureau moved in and used the building until a bitter dispute about the bureau's location arose between the sheriff and the county executive. A judge ordered the evacuation of the building due to deteriorating structural conditions, and during the move hundreds of confidential documents were left behind from the DEA's stay, including evidence, wiretapping transcripts, and case files. A New York Times article on the ensuing controversy reported that at one point the items left in the jail even included confiscated gambling machines, although no trace of them can be found today and several attempts were made by law enforcement officials to reclaim and destroy the records. Shortly after its closure, scenes for the Spike Lee film 'Malcolm X' were filmed there. In a somewhat sardonic twist, after it was abandoned the Essex County Prison became a haven for homeless drug addicts, many of whom currently still live in the filthy cells. Garbage and drug paraphernalia litter the cell blocks, and at least two corpses of overdosed drug users have been recovered from the building. Massive floor collapses, caved in skylights and ceilings, and three story window frames that have fallen onto the cell blocks are evidence that despite the sturdy architecture, the building is in dire shape. A fire in 2001 also contributed to the ruinous state of the site. While plans to demolish the prison to build a 50 acre science and technology park were vetoed in 2010 because of the prison's historic status, there is no real effort being made to protect the building from the elements, looters, vandals, people illegally dumping trash, or any of the other ravages that are clearly taking such a severe toll on it. 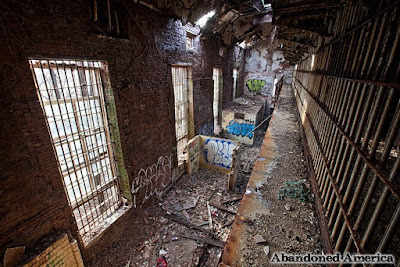 There has been some talk of gutting the interior and turning it into a small power generating station, but currently the old Essex County Prison continues its decay unabated, populated by heroin and crack addicts sleeping in the rusty cells. The interior of the old Essex County Prison is a mess of rust, deteriorating superstructure, garbage, and the detritus of the people who currently live there. In this cell block the few meager possessions of a handful of otherwise homeless squatters give an insight into a bleak existence: across from these cells, resting on the bars are the cobbled together tools for cooking and injecting herion. While I did not actually enter the cells they lived in because it seemed somehow disrespectful (as well as careless and foolish) the ratty stuffed bear with the little felt Halloween pumpkin on the bed filled me with a depthless sadness. This toy had been meant for a child, but was now apparently some measure of solace for someone whose life has been so destroyed by drug use that they were living in a cold, miserable abandoned prison in the depths of a particularly frigid winter. Is there an element of almost perverse voyeurism to viewing the tragedies of others through an image? Perhaps, but I would argue that without the ability to see these things we can never really even begin to understand or empathize with them. I have become hardened by many of the things I have seen in life, but it is impossible not to feel a tremor of awful aching compassion for whatever unfortunate person hugs this to their chest for comfort during their high in a freezing winter night in this terrifying trash heap of a derelict prison. The question it asks of the photographer and viewer is a terrible one: how could I possibly save this person? How could I save this place? What is so wrong with our world that this is the day to day reality of some of its inhabitants? What could be done to prevent this? If the answer is nothing, is the act of observing and sharing it in and of itself somehow wrong? Throughout the ages, mankind has been fascinated by the ruins of previous societies. The desire to gain a greater understanding of our past has driven archaeologists, artists, and scholars from across the world to study the vestiges of lifestyles that have vanished in an attempt to capture their mystique and beauty. Originally intended as an examination of the rise and fall of the state hospital system, Matthew Christopher's Abandoned America rapidly grew to encompass derelict factories and industrial sites, schools, churches, power plants, hospitals, prisons, military installations, hotels, resorts, homes, and more. Through his collection of writing and photography, Christopher has spent the last decade documenting the ruins of one of the greatest civilizations the world has ever known: our own. 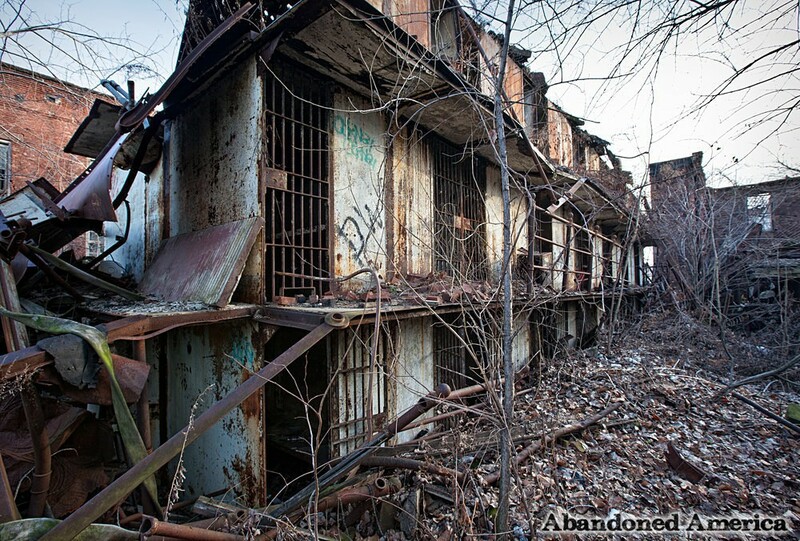 Exploring sites like the charred remains of the Hotel Do De, the rusted cells of the Essex County Jail Annex, the sublime majesty of the Church of the Transfiguration, or the eerie and dilapidated remnants of the New Castle Elks Lodge, the work spans architectural treasures left to the elements and then all too often lost forever. With 240 pages of beautiful photographs, a foreword by celebrated author James Howard Kunstler, and detailed historical background on each site, Abandoned America: The Age of Consequences is sure to captivate anyone with an interest in the modern ruins in our midst. Matthew Christopher’s journey to document abandoned sites began a decade ago while researching the decline of the state hospital system. Realizing that words alone could not adequately convey the harsh realities of institutional care, Christopher embarked on a journey to visit and photograph the crumbling state schools and asylums in our midst. 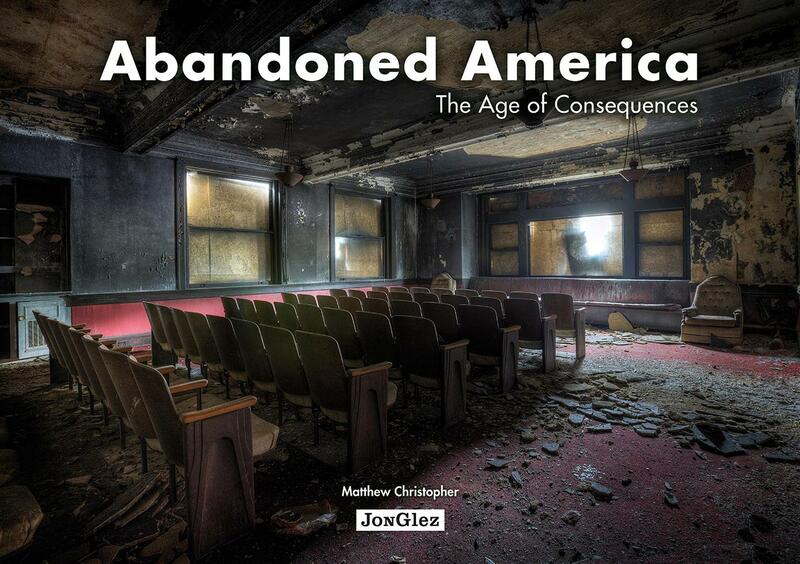 Ten years later, Christopher’s focus has broadened to include the ruins of American infrastructure, industry, churches, schools, theaters, hospitals, prisons, resorts and hotels as realized in his best-selling book, Abandoned America: The Age of Consequences (Jonglez). 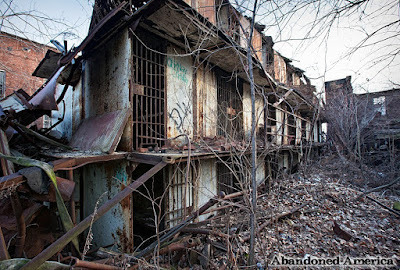 From Taunton State Hospital in Massachusetts to the US Air Force’s aircraft boneyard in Tucson, Arizona, Christopher’s extensive collection of derelict sites is featured on his website Abandoned America. His work has gained international attention and he is considered a leading expert on urban blight and the efforts to preserve America’s endangered architectural history. 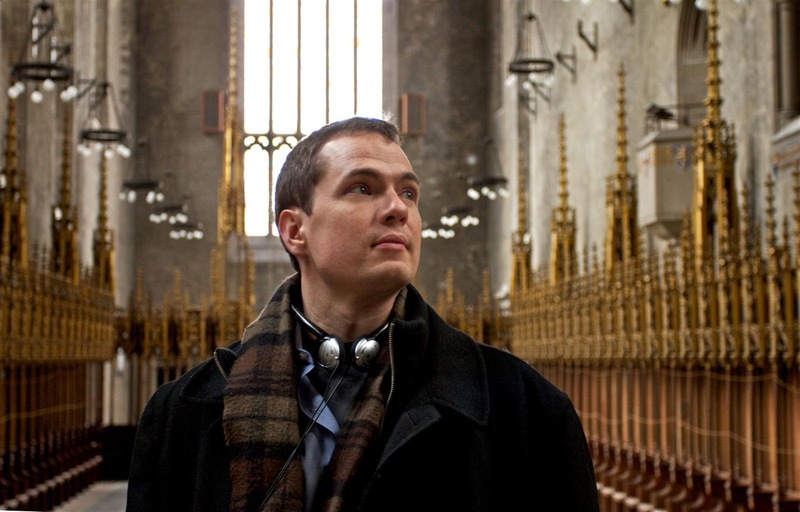 Christopher earned his MFA in Imaging Arts and Sciences from Rochester Institute of Technology in 2012. His work has been exhibited in museums and galleries across the East Coast, including OK Harris (NYC), Open Lens Gallery (Philadelphia), Frick Fine Arts Building (Pittsburgh), and the Edward Hopper House (Nyack, NY). 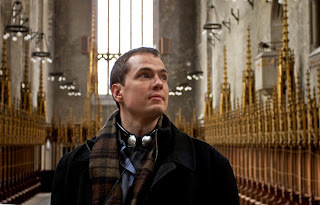 His photography has been featured on NBC Nightly News, the L.A. Times, BBC, ABC News, NPR, Philadelphia Inquirer, Washington Post, Catholic Sun, Yahoo News, Yahoo Travel, Business Insider, The Telegraph, Daily Mail, Buzzfeed, the Weather Channel, the Huffington Post, New York Daily News, the Metro, Photo District News, Photographer’s Forum, Juxtapoz, the Discovery Channel Magazine, and many others. He has lectured on the art of ruins, abandoned spaces, preservation, and mental health history for Preservation Austin, the Pennsylvania State Museum, Preservation Pennsylvania, Milton S. Hershey Medical Center, and his book launch and presentation for Abandoned America: The Age of Consequences, held at The Gershman Y in Philadelphia, was recorded live by C SPAN2’s Book TV. 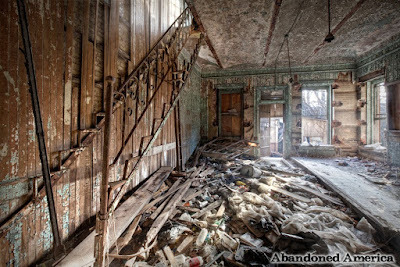 His website, Abandoned America, has gained international attention and is considered one of the leading collections of images of abandoned space, and his work has been displayed in galleries across the US. I walked through the jail about ten years ago. Records, boxes of reports, and other interesting items were strewn about. I left them as they were not wanting to be thought of as a grave robber.